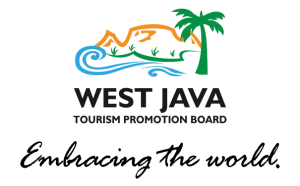 Explore beach, volcano, crater, temple, hot spring, art-deco mosque, traditional village, souvenir centers, leather home industry, and a zoo in one package. 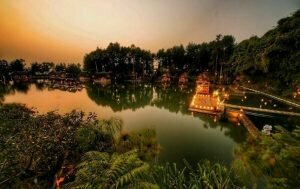 Visit to Situ Cangkuang, you will see a lake with a small island. You will reach the island by Rakit (bamboo boat) and then find an only one Hindu temple in West-Java. Then you can visit a Kampung Pulo traditional village near the temple. Visit to Papandayan Volcano, you will enjoy a volcano with nice view and landscape there. If you have more time to hike, you can find a camping ground, edelweiss field, and death forest. Visit to Kawah Darajat Hot Spring Hill, you can enjoy hills with hot spring swimming pool there. It will make you relaxed. The Night at Kampung Sampireun Resort, you will escape from hustle bustle. The wooden cottage are located at lake side. You can reach the cottage by sailing. At weekend, you can enjoy Sundanese art performance at a Rakit (bamboo boat). Over there, you can indulge yourself with an international grade spa. Visit an unique mosque of Asy Syuro, this is a mosque which is similar with a church. Historical and beautiful as well. Try to see the view from it’s tower. You can learn and discuss about Islam here. Visit Sukaregang, Sukaregang is the biggest leather home industry center in Indonesia. Get a big deal here. Taman Satwa Cikembulan, this is an optional program, especially for children. It’s a nice object also for adults.